Mission: This is a new committee in which a meeting has not yet been held. Once the guidelines are set-up our information will be updated. Function: To develop and oversee the pay-for-performance payment program guidelines under section 208.153. 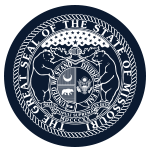 Member Requirements: nine physicians licensed to practice in this state, two patient advocates and the attorney general, or his or her designee. The remaining members shall be persons actively engaged in hospital administration, nursing home administration, dentistry, and pharmaceuticals.